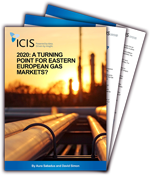 As new pipeline projects and new sources of natural gas are to be brought online by 2020 in central and eastern Europe, the region could see rapid development in the upcoming years. But to what extent will the multiple projects that are now afoot bring radical transformations to a region hitherto mired in political tug-of-wars and economic instability? As an active market player in the Chinese chemical markets, it is vital for you to stay well informed of major developments that will have significant implications to the chemicals you deal with. If you require data to power your decisions for your business in and out of China, then our pricing data solutions is the perfect tool to help you understand the Chinese domestic markets and to navigate them confidently. Understand the macroeconomic factors and market sentiments shaping the chemicals markets in China and the implications for the markets you trade in.